Happy Monday everyone, I spent the weekend at a new event, for me, in both name and content. 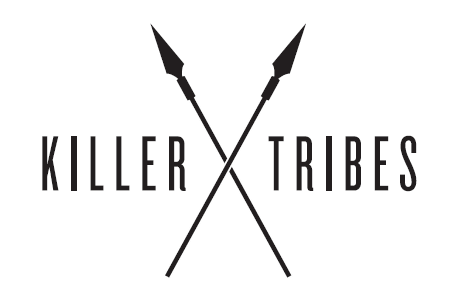 I attended the Killer Tribes Conference in Snellville, Ga. hosted by Bryan Allain. Like every conference it had it’s hits and misses. To my knowledge, I was the only youth pastor at the event which made me feel special. Let me first say that the hits were bigger and better than the misses. Before you say, “This has nothing to do with youth ministry so I am not going to read it.” Let me say, everything is about youth ministry, and if it’s not, I’ll make it about youth ministry. Maximize your God given talents. 2. Recreation- Focus on your hobbies, what you do to relax, etc. Capitalize on long term interests. Bring value (your authentic self) to your content. This was a fascinating point. John suggests we look at the waste of our initial product and turn into a product itself.. Example: If you have left over strip of cloth from clothing creation, why not use these scraps as pillow fillers, bandannas, etc. You know your own best solution. You already know the answer to your challenge. Do it. This was my first conference with John as a speaker, but it told me this, don’t be that guy. As youth pastors we do the same thing. We go to conferences, tell the speakers our great dreams, and the next year we’ve done none of it and want these gurus to console us and tell us we ‘re still good enough. Boo! Amen John. Gurus, call us out, make us mad, and make us determined to make you wrong about us. If you are a youth pastor who blogs, this is good advice,. If you are a youth pastor who doesn’t blog, why not? Why not create a space for your students to hear your heart beyond the meeting? Don’t make excuses, “They won’t read it” , “They don’t care” etc. You don’t know until you try. Have you tried one and failed? Tell me about it. Tried one and succeeded? Tell me about it. ah, thanks man! i thought long and hard about that statement, before and after the conference… but i wanted to make a point: SHIP IT.